For those people looking to get away and visit a casino, you will always be drawn to the slots, with their bright lights, tons of interactive games, and even best, the high jackpots that you could possibly win. Everyone that goes to play should know the one very basic aspect of these machines, they are designed to payout a certain percent of the time, this is where casinos make their profit, by having a hold percentage. Each State within the USA determines what the average hold percentage will be enforced on the casinos in their borders. The information won’t be broadcast on their company websites, but you can find them, but most of the time casual players do not even pay attention to this important factor that could determine whether you win more or lose more. Here is a list of a few States and what their hold percentage was 10 years ago, along with what they are using in the present. As you can see, Nevada has the lowest hold percentage presently, with only 6.4%, and the good news is that it has risen that much over the past 10 years; this figure has remained steady for the past two years. On the other hand, Iowa is the worst place you could go to play slot games, with a 9.4% hold percentage. It used to have a somewhat low percent, yet it has risen very high in the past 10 years. The two States that you should keep your eye on is Mississippi and Pennsylvania, as their hold percentages have dropped within the decade. Even better news is that the revenue has risen by 11.8% in Pennsylvania, making it easy to spot that if you pay out more, players will keep coming back. This has been the present dilemma, as casinos consider raising or lowering the hold percentages. 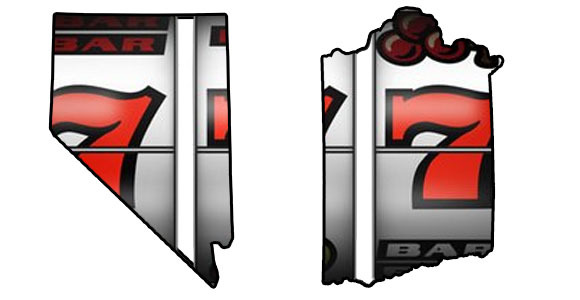 Either way, you can show your support for the decrease by going to casinos in Mississippi or Pennsylvania, but always remember that Nevada and its world famous Las Vegas casinos still offer the lowest hold percentages you can find when playing on the slot machines. © Copyright 1999-2016 CBH Limited Virtual. All Rights Reserved Worldwide. Let us know how you like the website, we have worked hard on it..